It’s been a long time since we’ve heard anything about Krypton, the Syfy TV series which was first announced around eighteen months ago. In fact, despite a somewhat positive update from Man of Steel scribe David S. Goyer, it seemed as if this was another DC Comics TV series (like Titans and The CW’s Amazon revolving around a young Wonder Woman) which would never get made. 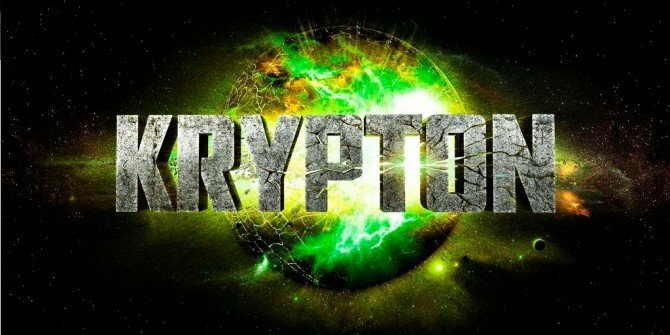 Well, Krypton has taken one step closer to becoming a reality today, as the network is close to giving the show a pilot order, something which means we could very well see it premiere later this year. In fact, it has now landed Damian Kindler (Sleepy Hollow) to executive produce and serve as showrunner. He’s been busy re-writing the first episode with Goyer, and Peaky Blinders and Sherlock director Colm McCarthy now looks set to helm the pilot. Set two generations before the destruction of the legendary Man of Steel’s home planet, Krypton follows Superman’s grandfather — whose House of El was ostracized and shamed — as he fights to redeem his family’s honor and save his beloved world from chaos. It’s an interesting idea, but not one many fans seem overly keen on. After all, there’s not really all that much a show like this can add to Superman’s canon, and Syfy aren’t exactly well know for creating quality TV. Here’s hoping that Krypton will fare a little better than other shows on their network.